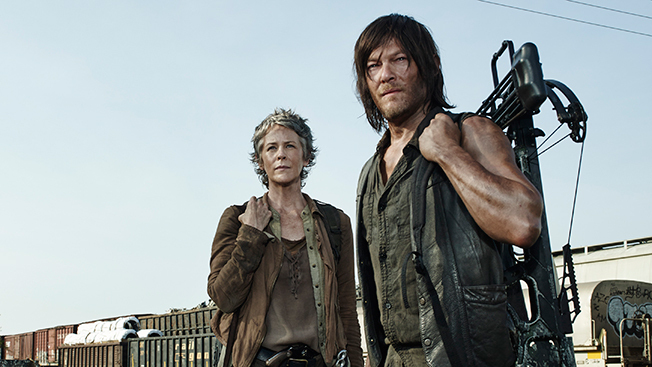 Given that it premiered Sunday night, it seems like the right time to ask: Is The Walking Dead the only thing young people watch? This past season, the AMC show ranked No. 1 among men and women across all of broadcast and cable, with an average 18-34 rating of 3.09 among women and 3.78 among men. Among women, the next best showing was by ABC’s Scandal, drawing a little more than half Dead’s audience (1.66 million); among men, not counting broadcast sports, the next place show—with far less than half, at 1.7 million—was Fox’s Family Guy. Or at least we thought this was the case. Last Friday, Nielsen announced (quietly) that it has been overestimating live-plus-same-day deliveries since at least March. Data since the beginning of the broadcast season will be reissued; the first batch of C3 ratings, which Nielsen said are error-free, came out over the weekend. That handful appears to affect mostly ABC where L+SD has gotten an unusual bump—though it is worth pointing out that if fast national data is correct (which it appears to be), the net still has several hits on its hands, notably How to Get Away With Murder.